The slow cooker, plus the acidity from the orange juice, plus the other flavors in the marinade — magical (and easy) dinner. 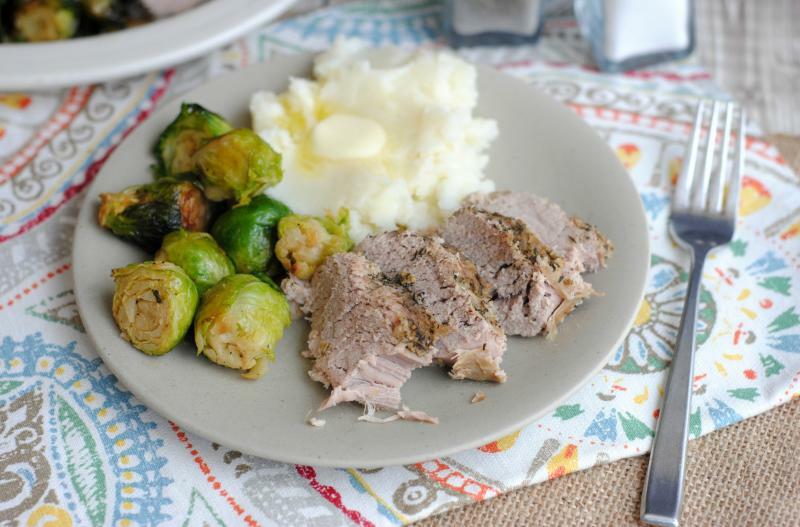 Place the pork tenderloin into the base of the slow cooker and season with salt and pepper. Pour the orange juice on and around the pork and then add the minced garlic, ground ginger and dried thyme over the top. Set the slow cooker on low and cook for 8 hours. Remove from slow cooker and let rest for 5 to 10 minutes before slicing. 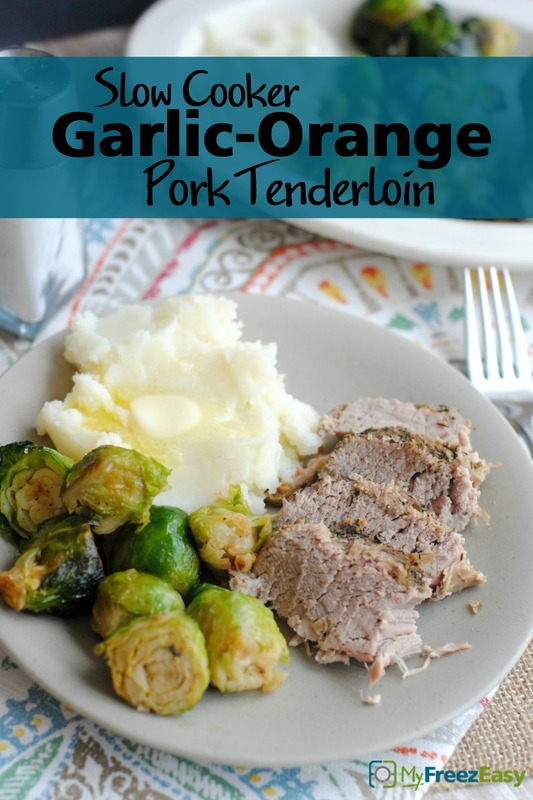 Serve Slow Cooker Garlic-Orange Pork Tenderloin with mashed potatoes and veggies. Serve with mashed sweet potatoes for Paleo/Whole30 meal. Thaw and slow cook on low for 8 hours. Once cooked, remove from slow cooker and let rest for 5 to 10 minutes before slicing.